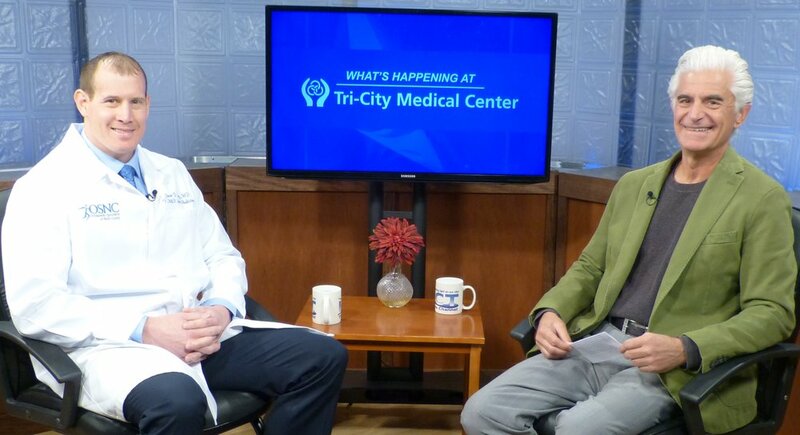 The series, What’s Happening at Tri-City Medical Center, is a collaboration of KOCT and TCMC. The goal of this program is to keep the community informed about health issues, events, and services at your local medical center and provide viewers with information on a healthy lifestyle. On this episode, John Bonosoro interviews Dr. Curry, MD, whom specializes in non-surgical approaches for the treatment of cervical, thoracic, and lumbar spine pain, as well as musculoskeletal disorders and joint pain. All Viewers can watch this episode on KOCT.org’s Video on Demand. Viewers in Oceanside can watch via Cox Cable on KOCT Channels 18 & 19, as well as, county-wide on AT&T’s U-Verse service (Channel 99). Stream us live on KOCT.org to stay in tune with your community by tuning into KOCT-North County’s Channels!